You probably know this: the creation of a qualified lead is usually very complex and even the best oftentimes do not achieve their goals. Lead management and marketing automation software can optimize the sales process and automate many other related activities. Nowadays, many companies have already researched information about the product or service long before the actual purchase. With this, the decision to buy has often already been made before you had the chance to present your sales pitch. This makes it extremely important to inspire potential customers with interesting content before personal contact is established. Monitor, document and analyze in detail the engagement of website visitors and newsletter subscribers with a marketing automation solution. The more information you get, the better you know your potential customers. You learn what your customers want, distribute targeted content at the right moment and increase your success rate. The platform is not suitable for mass communication. Users expect individual content. A professional strategy is required. Marketing automation offers you a wide range of fully automated applications without much effort. The available software enables you to monitor and measure your marketing activities better than ever. Marketing automation solutions not only provide profiles with personal data. They also make user behavior transparent through opening rates, click rates and downloads. These insights unlock a real competitive advantage: campaigns can be personalized and tailored to the interests of leads across the entire customer journey. 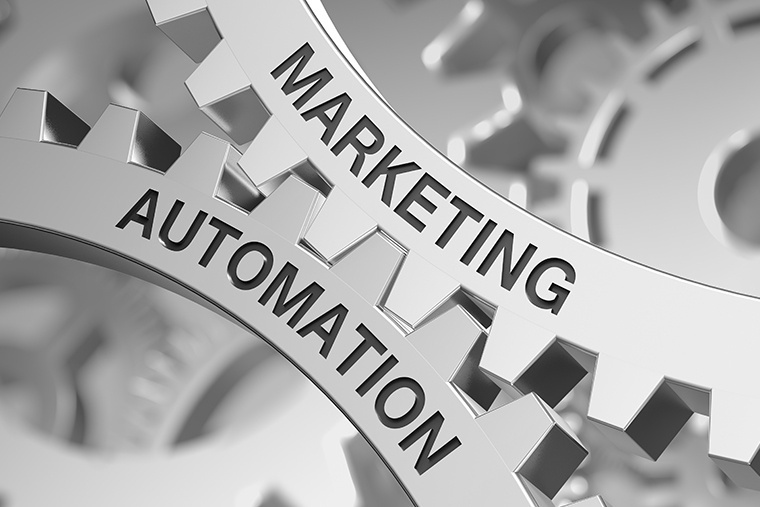 The increasing efficiency of marketing campaigns with marketing automation tools is transparent and immediately measurable in a person-specific manner. Find out more about our services in our flyer. W4 offers strategic consulting and the operational implementation of all phases of marketing automation. In close cooperation with you, we will find the software that suits your needs the best and advise you on the possibilities of use including the creation of automated marketing campaigns. We develop a marketing strategy with you and, if necessary, realize campaigns and a content strategy. Get in touch!